City Parks Foundation (CPF) Young Patrons is a dynamic group of individuals in their early 20s through their late 30s committed to supporting CPF’s programs and community building initiatives—located in more than 400 parks, recreation centers, and public schools across the city—reaching 300,000 people each year. Young Patrons are invited to participate in an annual calendar of events, including our full season of SummerStage concerts from May through October, exclusive member receptions, and happy hour networking opportunities. Young Patrons also engage with our community as leaders by volunteering to prepare one of our urban Learning Gardens for spring planting or the fall harvest, connecting with neighbors to clean a local park on an It’s My Park! service day, or defending our increasingly fragile environment by cleaning a shoreline as part of our Coastal Service Day volunteer group. Young Patrons help City Parks Foundation sustain our essential work transforming parks into vibrant centers of community engagement. 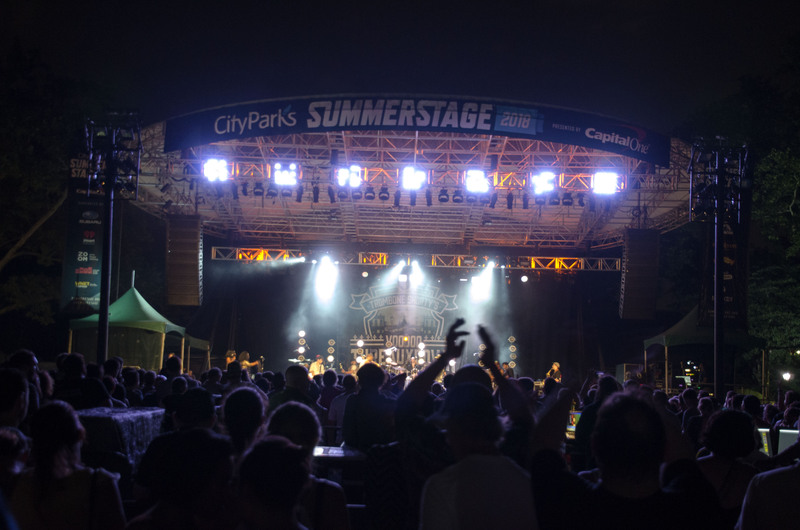 Express entry for two (2) with access to the SummerStage in Central Park Member Lounge offering complimentary beer and wine, wait service at your seats, and air conditioned restrooms. For a full list of dates and locations for individuals, please visit the It’s My Park calendar. Volunteer to clean up a Learning Garden in preparation for underserved student and local residents to plant vegetables and herbs alongside CityParks Learn educators and fellow Young Patrons. Join over 20 south Brooklyn schools and Coney Island community groups as we care for and learn about Coney Island Creek for It’s My Estuary Day! Toast the opening of our 2018 season and join us for a reception at The Wisteria Pergola in Central Park. Enjoy exclusive Young Patron benefits at New York’s largest free outdoor performing arts festival all summer long. Volunteer to clean up a Learning Garden in preparation for the winter alongside CityParks Learn educators and fellow Young Patrons. Young Patrons are invited to team up with City Parks Foundation at the world’s largest volunteer effort for our ocean and waterways at the International Coastal Cleanup®. We will join hundreds of other cleanup efforts happening all around the world. CPF events open to Young Patrons Members only. For information on joining our Young Patrons Program or to RSVP for a Young Patrons event, please contact Jessica O’Hare at johare@cityparksfoundation.org or (212) 360-8186.